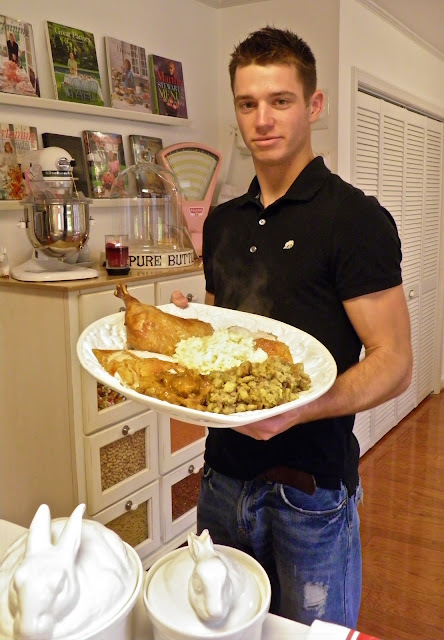 From Captain's Daughter to Army Mom: CSN Stores Give-away, and one Fabulous fried turkey! CSN Stores Give-away, and one Fabulous fried turkey! I am so happy CSN Stores asked me to mention stools to you today because I know first hand that adding a couple of stools to an island is the easiest way to transform your kitchen into a gathering spot! Not only do my little stools provide a comfortable seat for family and friends that like to camp-out while I'm busy in the kitchen, they also provide another surface where I can stage baking sheets to help keep my countertops clear... And, when I host cookie how-to classes, my stools really come in handy! You already know how much I love shopping on-line with the CSN family of stores... Remember this!? If you do, then you know CSN Stores has the selection I crave, at the prices I like, and that I never, ever pay for shipping! 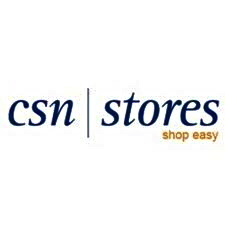 Of all the on-line shopping options available to me, I choose CSN Stores as the best! So what about the give-away, you say? Well, I'll tell you right now! CSN Stores is offering one reader $35 off their next CSN Stores purchase! Just pop over here, then come back and leave a comment telling me which stool or set of stools you'd like to add to your kitchen island, craft room or bar! For additional entries you can tweet this give-away or post a link to it on your Facebook wall. Just remember to let me know know which you've done, and don't forget to leave your e-mail address too. One reader-comment will be chosen at random and announced on Wednesday December 1st - Good Luck! research to locate the safest and easiest fryer to use, I settled on this one! counter space, not because the fryer smelled bad. Because it didn't smell at all! 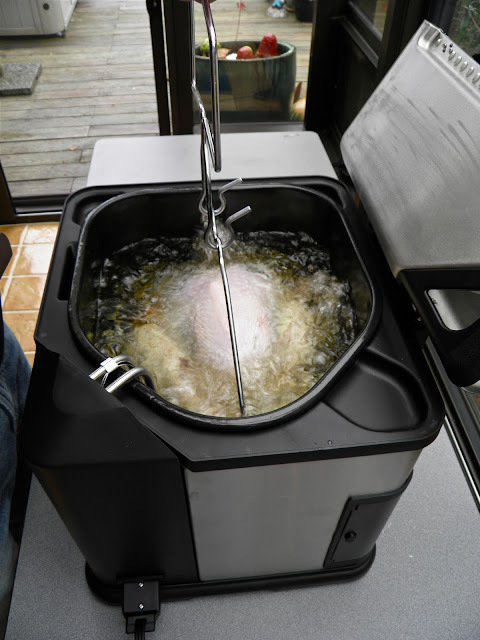 turkey I picked up before I bought the fryer fit! I was also thankful the Ranger was home for Thanksgiving to help me! 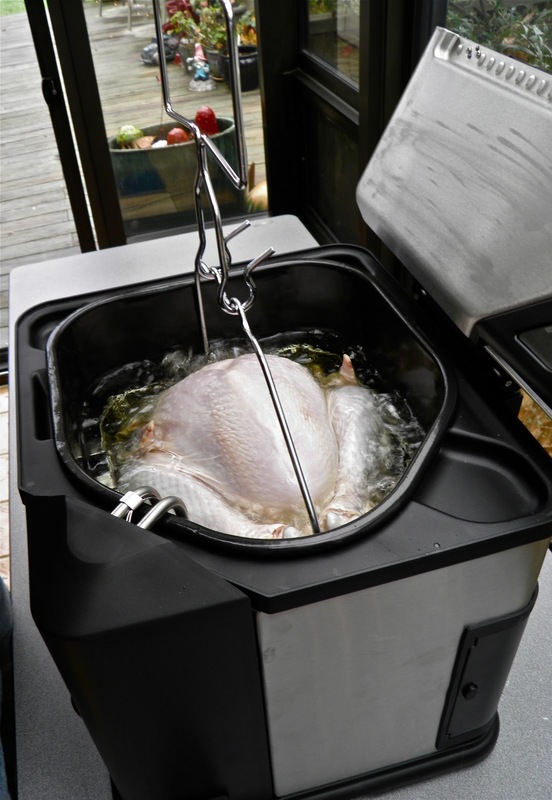 whole chickens, Cornish game hens... And, it steams and boils too! potatoes and corn next summer... Don't you? pushed it to the limit with my 13.7 pound bird! Our Thanksgiving turkey was perfectly cooked! Doesn't get any better than this at Thanksgiving! A big Thanks to CSN Stores for providing this give-away to one of my readers! I was not compensated for this review. CSN Stores offered to allow me to use the $35 credit toward my own purchase or give it away. I elected to purchase the Fryer at my own expense so that I might provide you with a completely unbiased opinion of the selection, value and quality of the merchandise offered through CSN Stores. CSN Stores passed my tests with flying colors, and that's why you're hearing about them here! I would like the Regal Campino 30" Metal Swivel Barstools. I don't have a place for barstools in my kitchen, but my husband and I have dreams of having a place in our bonus room for a tall table with 2 tall barstools at it. Great giveaway! Shared this on my Facebook wall! I love the bamboo54 outdoor stools. We are hoping to work on our lower level patio this next summer and those would be great for the tiki bar I want! Wow that is incredible! 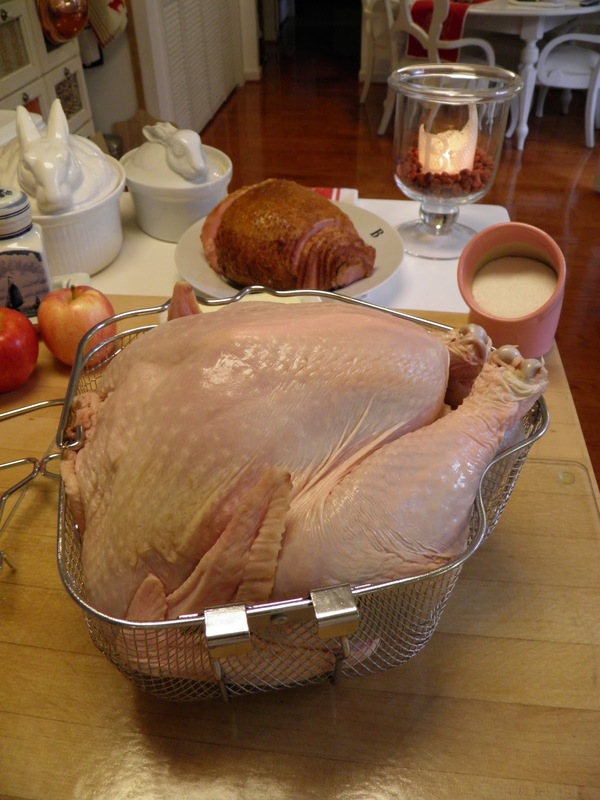 They should show your turkey photo for advertising because it looks the ultimate in fried turkey perfection. I like Boraam Cordova 29" Backless Bar Stool. I am considering get a couple for my kitchen but I don't have a lot of room. I'd love those Crosley Upholstered 29" Saddle stools, they look comfortable, maybe even good enough to sit on while decorating cookies :) I usually stand. 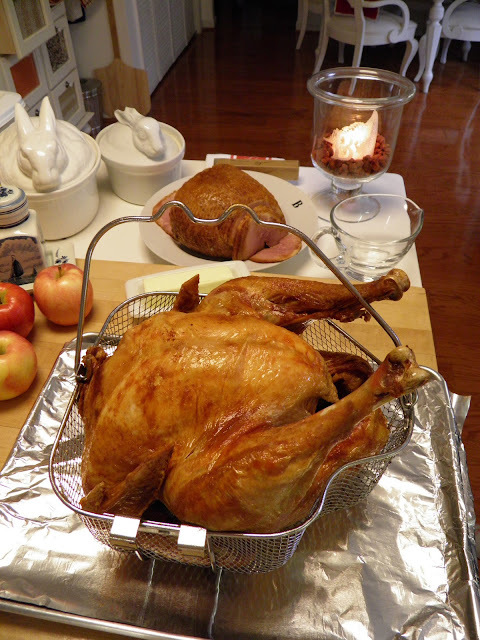 Your turkey looks so good! I'm glad it came out well! I knew you could do it!! I like the Wildon Home Aloha bar stools. 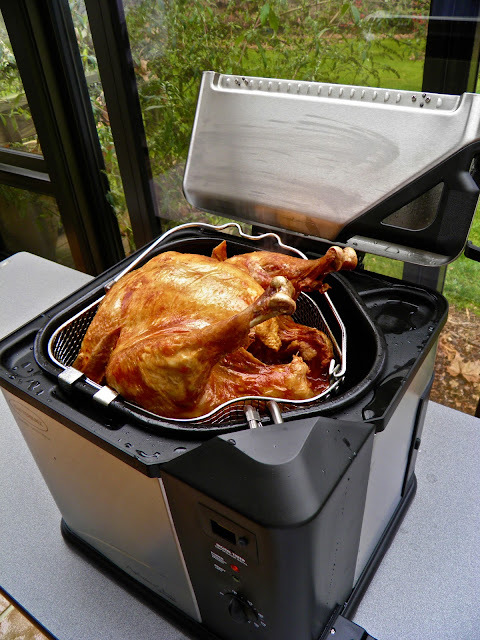 Count me out of the giveaway, I just wanted to say ghat I think your turkey turned out so well. 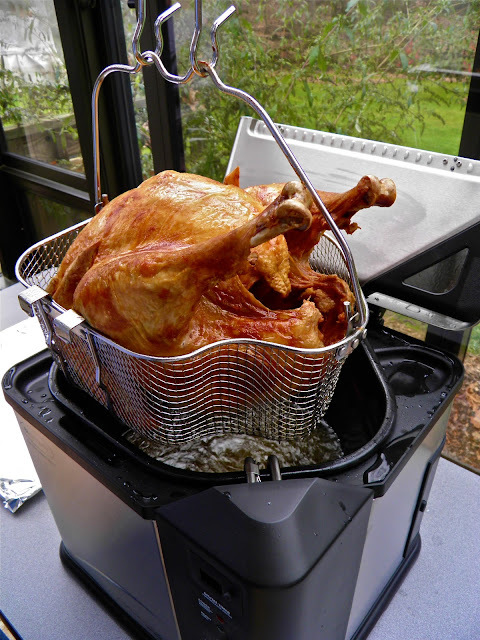 I think that's an awesome fryer. If I ever get one, I'll remember this post. The Ranger is home for Thanksgiving! Let's make Guittard chocolate bark! There will be Thanksgiving at home after all! Febreze 80 hours of Ahhhhhhh, and a Give-away!